“I would like to see which international law has declared [Israeli settlements] illegal,” Foreign Minister Julie Bishop said last Tuesday. Her statement regarding the settlements in the occupied Palestinian territories, made during her visit to Israel to attend the funeral of Ariel Sharon, raises some troubling issues regarding her understanding of international diplomacy. According to the Fourth Article of the Geneva Convention, to which Australia is a party, it is a war crime for an occupying power to ”transfer parts of its own civilian population into the territory it occupies”. In 2004, the International Court of Justice ruled that ”the Israeli settlements in the occupied Palestinian territories (including East Jerusalem) have been established in breach of international law”. It is in upholding this ruling that the United Nations and, until the election of the Abbott government, Australia have opposed the construction of Israeli settlements. Even US Secretary of State John Kerry, who has been criticised for a pro-Israeli bias while brokering Israeli-Palestinian negotiations, has stated that ”the position of the United States of America on the settlements is that we consider now and have always considered the settlements to be illegitimate”. Such universal opposition to Israel’s settlement enterprise is not just a matter of legal technicality. The purpose of the settlements, as Ariel Sharon declared in 1973, is to ”make a pastrami sandwich” of the Palestinians by building strips of settlements throughout the West Bank ”so that in 25 years’ time, neither the United Nations nor the United States, nobody, will be able to tear it apart”. 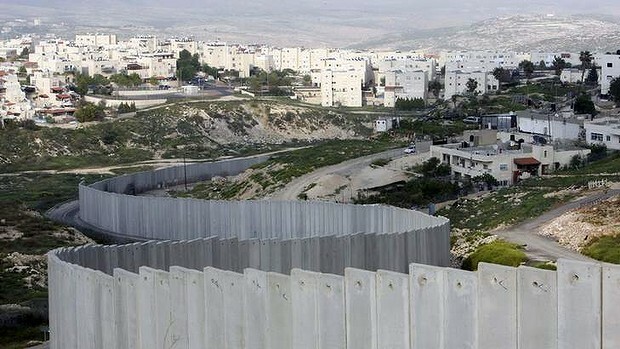 Today 40 per cent of the West Bank is reserved for the exclusive use of its settler population, as Palestinian movement, agriculture and commerce are stifled by a web of checkpoints, ”security barriers” and the Israeli-only bypass roads that link the settlements. According to the World Health Organisation, a community requires a per capita minimum of 100 litres of water a day to meet its health and hygiene needs. The daily allocation for West Bank settlers is 300 litres, while their Palestinian neighbours are forced to survive on as little as 20 litres a day. Thus for the Palestinians, every act of civil engineering associated with the settlements becomes an act of war: laying down water pipes causes water shortages, new houses cause overcrowding as Palestinian lands are confiscated to accommodate settlement growth, new roads separate people from their farms, schools and jobs. Even the settlements’ sewage affects downhill Palestinian communities. According to the Israeli non-government organisation B’Tselem, 5.5 million cubic metres of untreated settlement waste is dumped directly into Palestinian streams and valleys each year. The international community’s failure to halt the expansion of Jewish settlements since the beginning of the Oslo peace process in 1993 has been a critical factor in the rise of the militant organisation Hamas, which has cited such construction as proof that Israel is negotiating in bad faith. The consequences of the settlements, however, are not confined to Israel and Palestinian territories. In his farewell address of 1796, George Washington cautioned his countrymen against passionate attachments to other nations on the grounds that such partiality leads to concessions that are ”apt doubly to injure the nation making the concessions; by unnecessarily parting with what ought to have been retained, and by exciting jealousy, ill-will, and a disposition to retaliate, in the parties from whom equal privileges are withheld”. Given the delicacy of Israeli-Palestinian negotiations and Australia’s considerable investment of blood and treasure in the struggle against international terrorism, the government would do well to reflect carefully upon Washington’s admonition with regard to what is certain to prove one of this year’s defining international relations issues. What possible Australian interests, one wonders, are being served by uncritically siding with Israel against the international community and even the US on the issue of settlements? George Browning is the former Anglican Bishop of Canberra and the president of the Australia Palestine Advocacy Network.